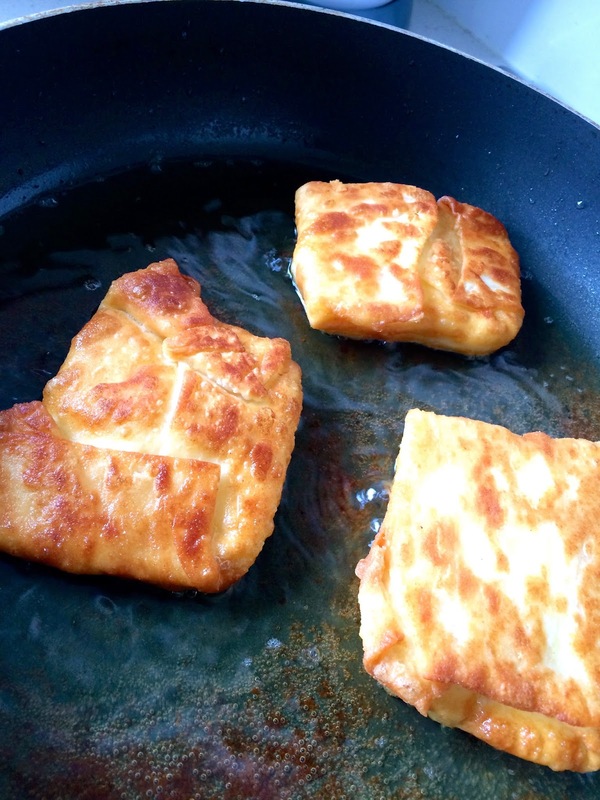 Greek Food Odyssey - cooking classes, recipes and travel: Fried cheese pastries with petimezi! 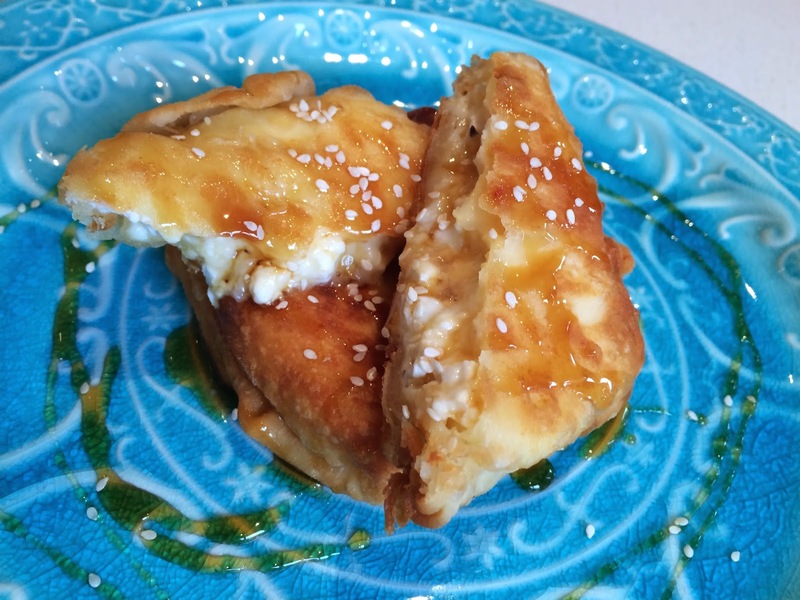 A few weeks ago I made a couple of spanakopites and had left over home made filo pastry. 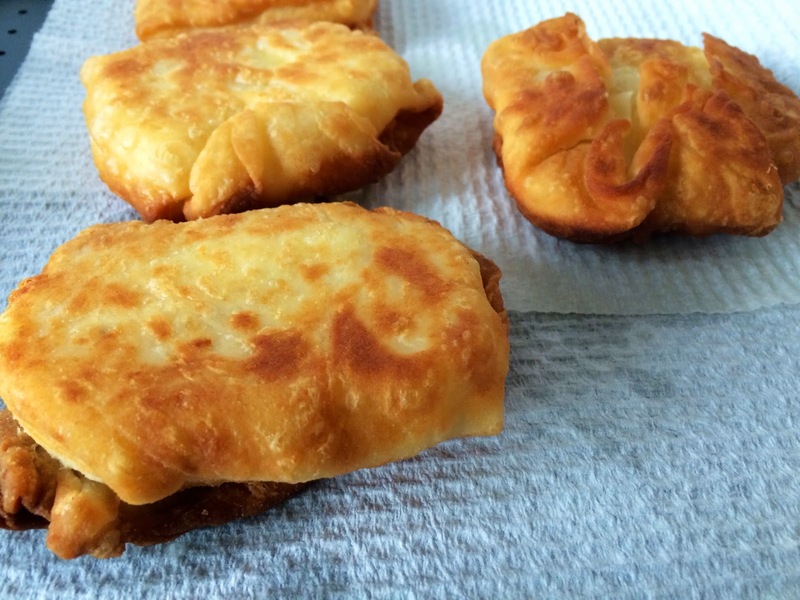 It wasn't enough to make another whole pita so I made fried cheese pastries. Our family friend in Greece, Maria, had me over for a cooking demo while I was in Greece last year. 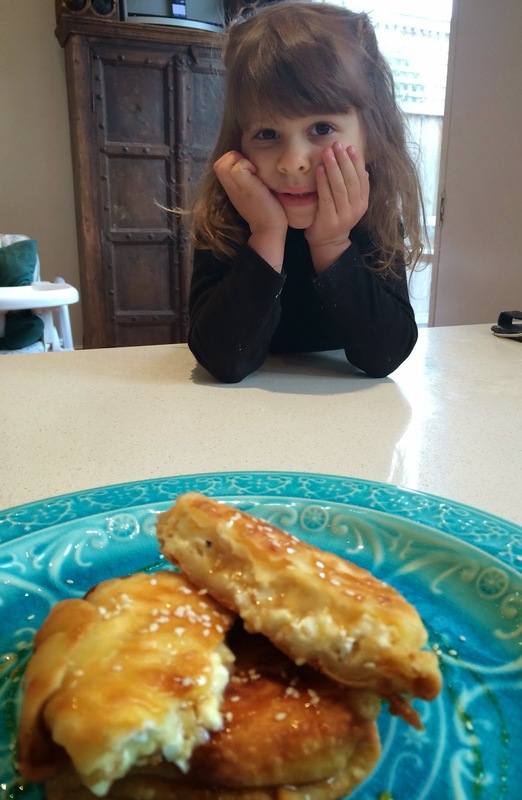 She made meltitzanopita (eggplant pita) and gozlemethes. The latter is the Greekified name for the Turkish gozleme. With the exchange of populations in the 1920's, over 1.5 million Greeks from Asia Minor (Turkey) where forced to leave their homes, their possessions and wealth behind. In Greece, about 350,000 Turks where also forced to leave and relocate to Turkey. I could go on forever about this subject, but the point is with the influx of Greeks from Turkey they bought their local cuisine which was a mix of Byzantine and Ottoman cuisine. Gozlemethes where one, however I imagine if one does their research, there would be a Greek dish with another name as there would be a Balkan one etc. 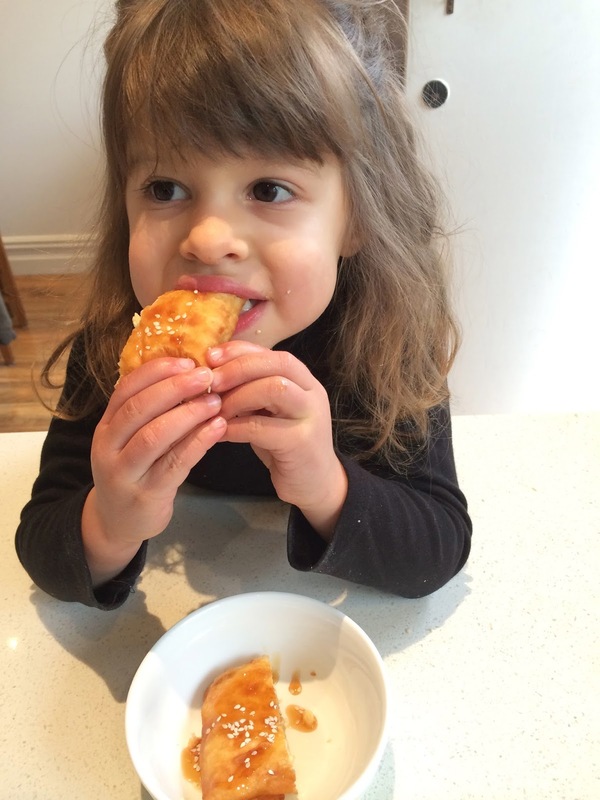 She rolled out the dough, cut it into a square shape, added the filling of feta, egg and cracked pepper and fried them in olive oil. They were fantastic. I decided to do the same, however in my mixture I put, feta, kefalograviera, egg, cracked pepper. I fried them in vegetable oil, drained them on kitchen paper and then drizzled them with petimezi (grape syrup) and sprinkled sesame seeds. Sensational!!! A definite must try for all! Note: You can buy petimezi at any Greek or Turkish deli. If you don't have petimezi use honey!